I founded CAMufacturing Solutions in 2012 along with my wife, Dr. Jill Urbanic to develop ‘cutting edge’ CAD/CAM software. All of our software is centred around the programming and simulation of CNC machine tools and industrial robots. Since then, we have grown to 6 employees, along with funding 2 PhD researchers, one Masters researcher and 2 interns. We are heavily invested in R&D and work with research groups in engineering and computer science at the University of Windsor along with our industrial partners. 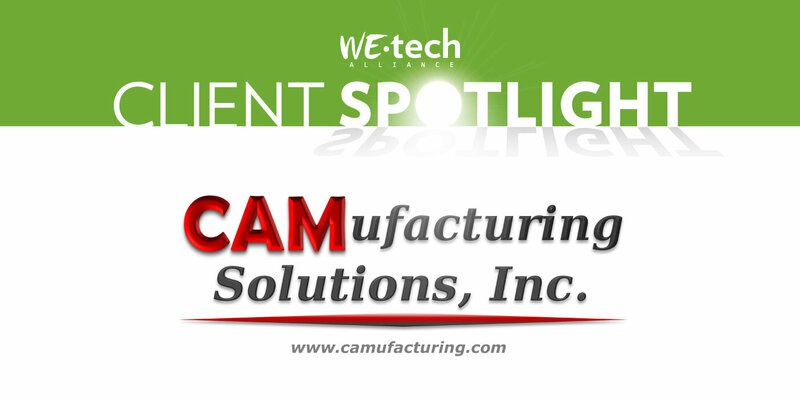 What products/services does CAMufacturing Solutions provide? We have developed an additive manufacturing (3D printing) module for the CAD/CAM system Mastercam called APlus. The software is for programming additive operations on CNC machine tools and robots which have typically been used for cutting metal, but now have the ability to deposit material as well as remove it in a process called hybrid manufacturing. It has been on the market now for about a year and is starting to get traction in the market. We also provide custom CAD/CAM software development consulting services for Mastercam customers and have worked on projects for applications such as robotically sand blasting and welding 3m diameter steam turbine parts, engraving letters whose height the thickness of 3 hairs on a die and machining femoral implants for knee replacements. In addition to our product and consulting work, we also provide training and applications engineering support for our customers. We just returned from being an exhibitor at our first major North American trade show, IMTS – the largest manufacturing technology show in North America. Our software was generally well received and it was exciting giving demonstrations to many well-known large high-tech manufacturing companies. Having positive comments about our software, when our main competitors are international multi – million/billion dollar companies has been a big boost. 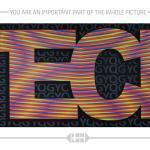 What tech resource has played a role in your company growth? Our company is focused on Windows software development using Microsoft Visual Studio. It is our primary ‘toolbox’ that enables us to create our software. We also use Jira for agile software project management and Subversion and soon Git to manage our source code. The other important ‘tech gadgets’ are the machine tools and robots programmed by our software. Without development of these machines, there wouldn’t be a need for our software. Looking at your company’s future, what excites you the most? The vast potential for the new manufacturing processes being developed – We have only scratched the surface for applications in which additive manufacturing can be utilized. Multi-materials…There is still so much work to be done as so little is known about the physical properties of the parts being manufactured. How has WEtech supported your business to date? Showing my age here – the PC. It’s my primary tool to express creativity both in developing complex yet easy-to-use software as well as using CAD/CAM software to manufacture things that would be next-to-impossible to make by hand. What ideas do you have to help accelerate our local Tech community? Development, then aggressive promotion of business parks to attract companies that want to collaborate with the University and/or College. They could also be a place for local companies that have graduated from local business accelerators to locate permanently. Both the university and college are located right along the main corridor to/from the US, so we have the ideal geographic location for such facilities. If you could have coffee with any business leader or industry expert, who would you choose, and why? My Uncle Jerry Slavik, who passed away earlier this year. If I can fill a toe in his shoes with regard to being a business leader and community supporter, I will consider myself successful. He was always interested in how our company was doing when we visited.